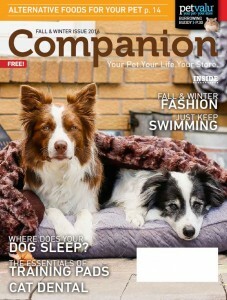 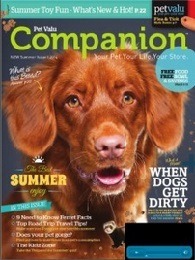 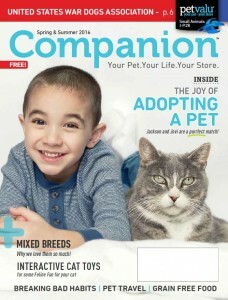 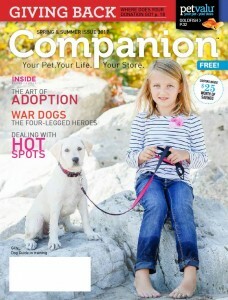 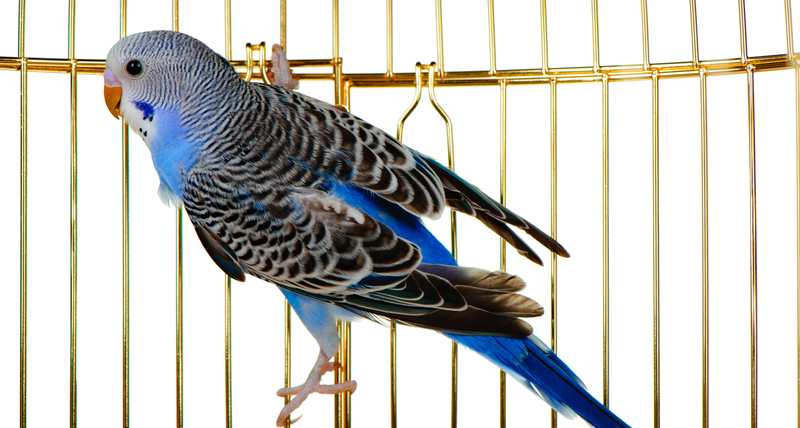 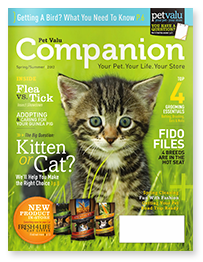 Pet Valu Companion magazine is an entertaining and educational read for pet parents. 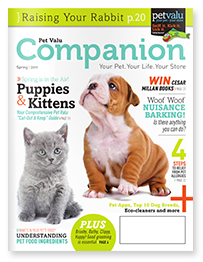 Published four times each year, PV Companion features new products, seasonal topics, fun facts, giveaways and in-depth articles. 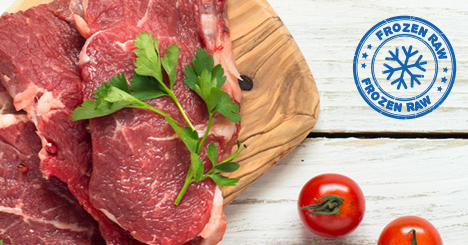 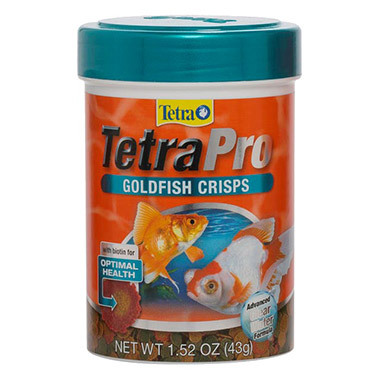 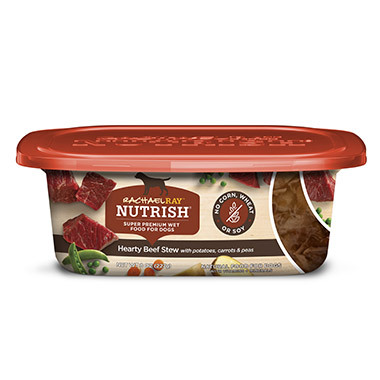 Dr. Dave Summers, our Nutritionist, writes an informative nutrition-based article for every issue. 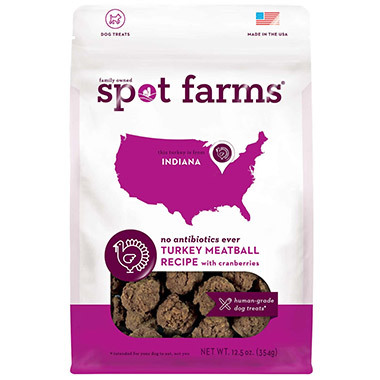 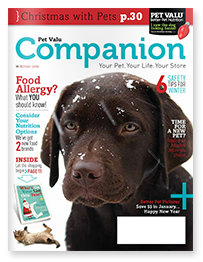 Issue 27, Fall/Winter 2018- Learn about the benefits of Sweet Potato. 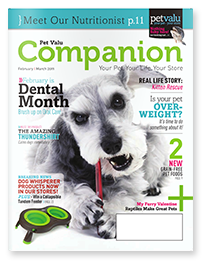 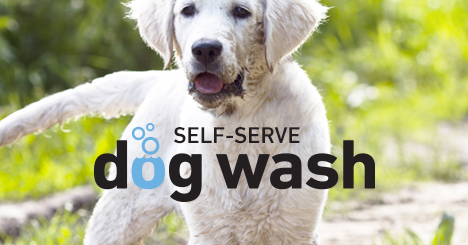 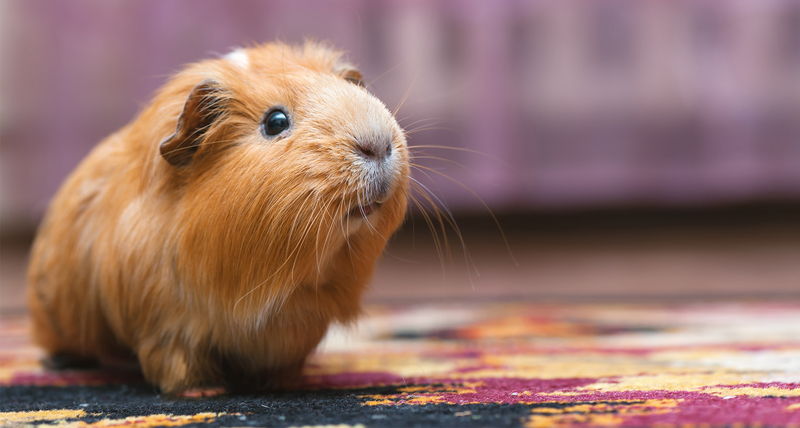 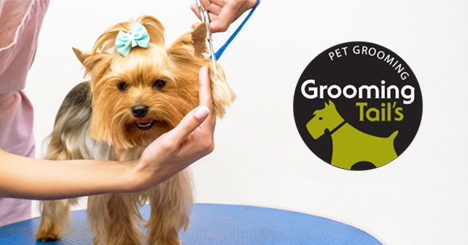 Keep a healthy routine with pet dental tips, winter wellness, small dog nutrition, and more! 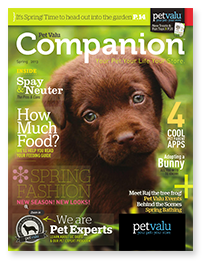 Issue 26, Spring/Summer 2018- Learn tips to show off your pet on Instagram. 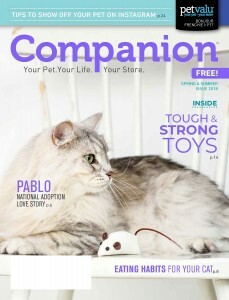 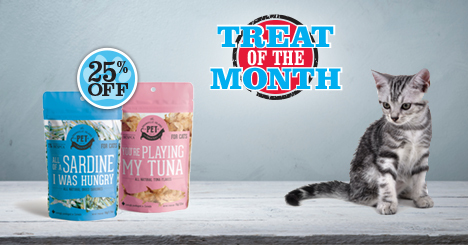 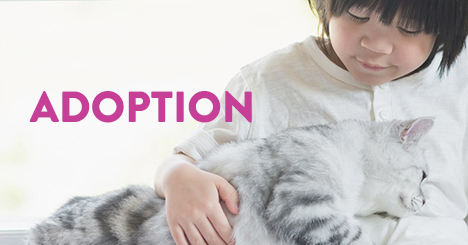 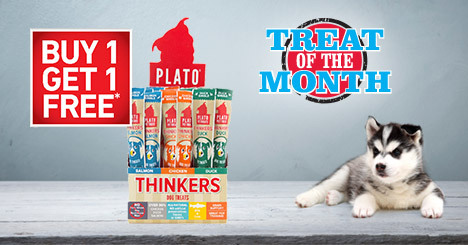 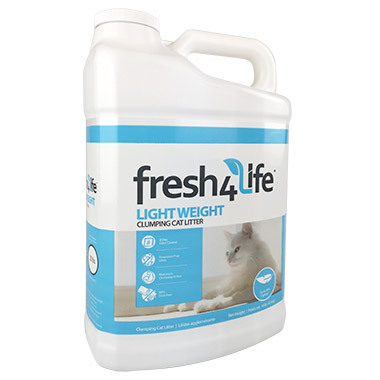 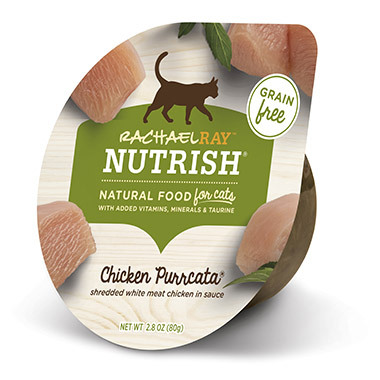 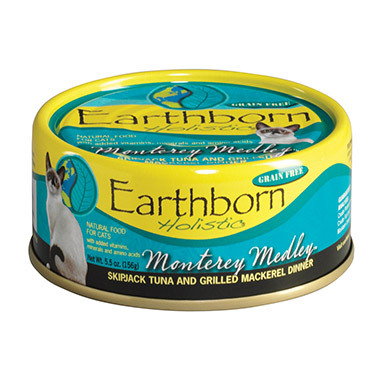 Discover tough & strong toys, find out about eating habits for your cat, and more! 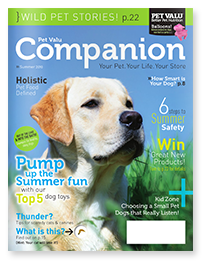 Issue 25, Fall/Winter 2017- Learn about the king of the toys, your route to raw foods, try feeding your pet something different and more! 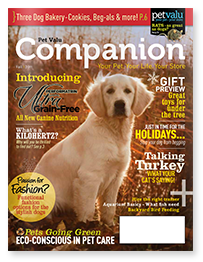 Issue 24, Spring/Summer 2017- Learn about pure breeds, war dogs - the four legged heroes, dealing with hot spots and more! 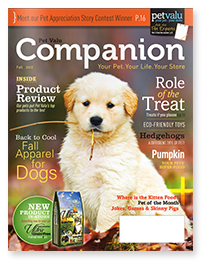 Issue 23, Fall/Winter 2016- Learn about alternative foods for your pet, the essentials of training pads, cat dental and more! 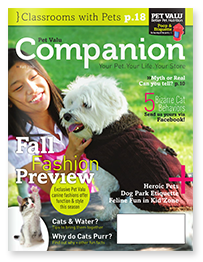 Issue 22, Spring/Summer 2016- See how we help US War Dogs, learn about mixed breeds, the joy about adopting a pet and more! 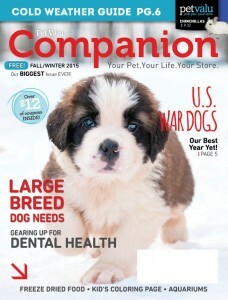 Issue 21, Fall/Winter 2015- See how we help US War Dogs, learn about large breed dog and food, cold weather guide and more! 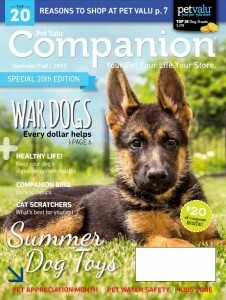 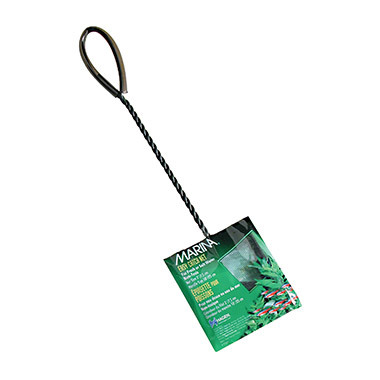 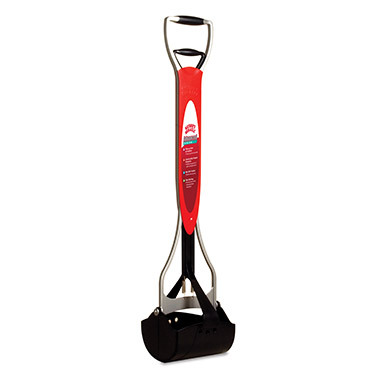 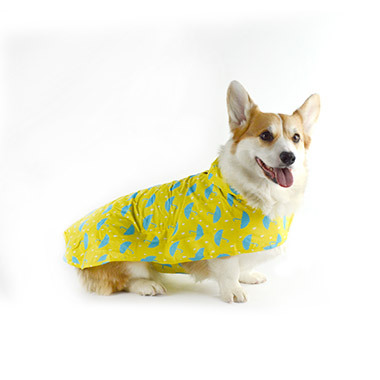 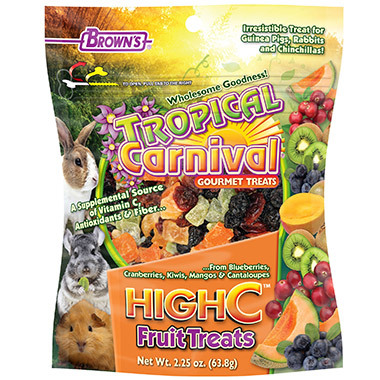 Issue 20, Summer/Fall 2015- War Dogs, summer dog toys, cat scratchers and more! 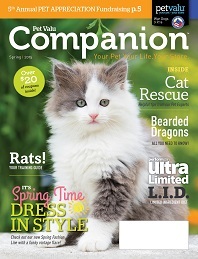 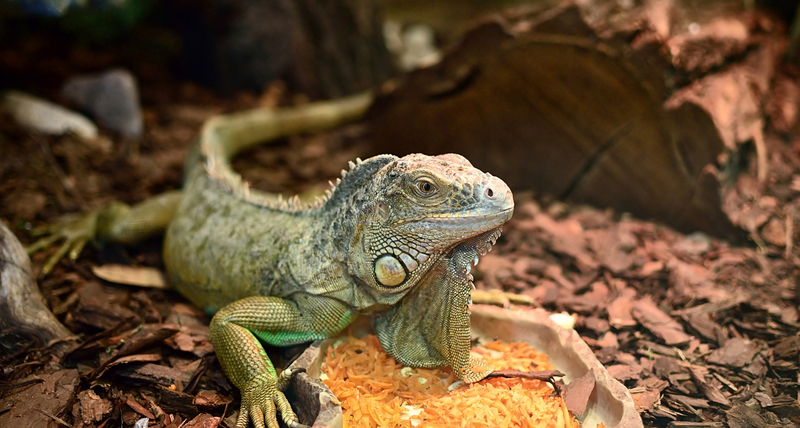 Issue 19, Spring 2015- Cat rescue, bearded dragons, new Performatrin Ultra Limited, spring fashion and rats! 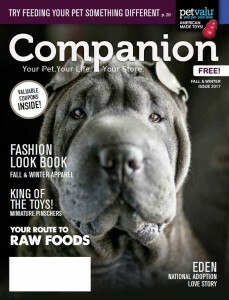 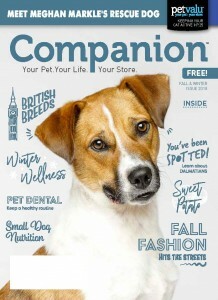 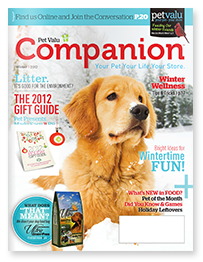 Issue 18, Winter 2014- Companion Magazine Winter 2014 Issue: Getting your pet ready for winter, plus indoor entertaining, a pet style quiz and more! 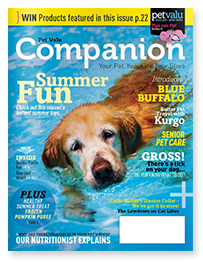 Issue 17, Summer 2014- Companion Magazine Summer Issue: The Best Summer! 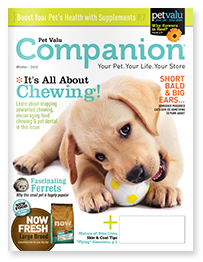 Ferret facts, road trip tips, how to stop gorging, and what to do when dogs get dirty. 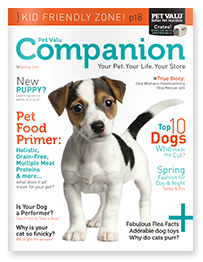 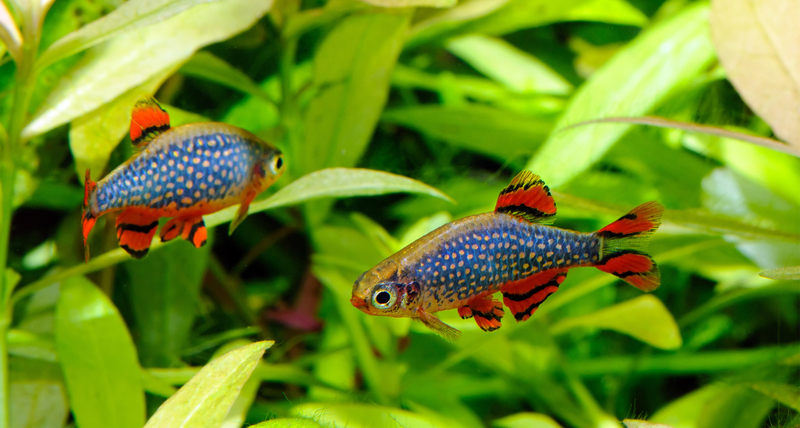 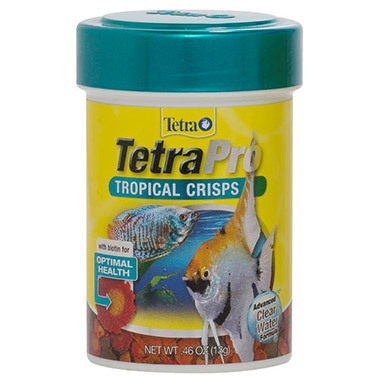 Issue 16, Spring 2014- Companion Magazine Spring 2014 Issue: The ultimate puppy & kitten must-have wish list, a complete guide to Performatrin, Betta fish, and more. 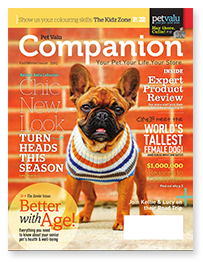 Issue 15, Fall/Winter 2013- Check out our new fall fashion, meet the world's tallest female dog, Pet Expert product reviews, Kellie & Lucy's road trip, and everything you need to know about your senior pet! 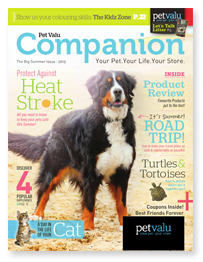 Issue 14, Summer 2013- Companion Magazine Summer 2013 Issue: Protecting against heat stroke, supplements, a day in the life of a cat, product reviews, pet-friendly road trips, turtles and tortoises and more! 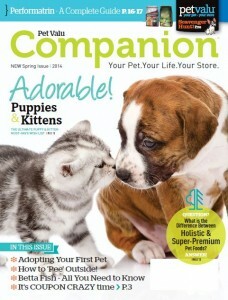 Issue 13, Spring 2013- Companion Magazine Spring 2013 Issue: Pet-friendly gardening, pros and cons of spay and neuter, feeding guide, spring fashion and all you need to know about adopting a bunny. 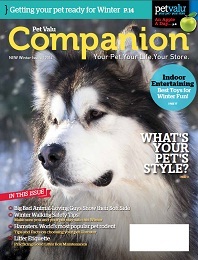 Issue 12, Winter 2012- Companion Magazine Winter 2012 Issue: Our Holiday Gift Guide, Winter Wellness, Winter Fun and more!